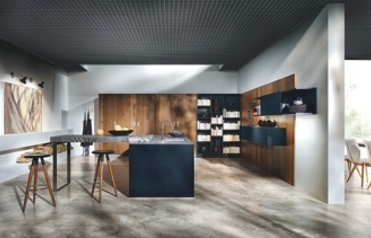 Kitchen designs perfect for entertaining! 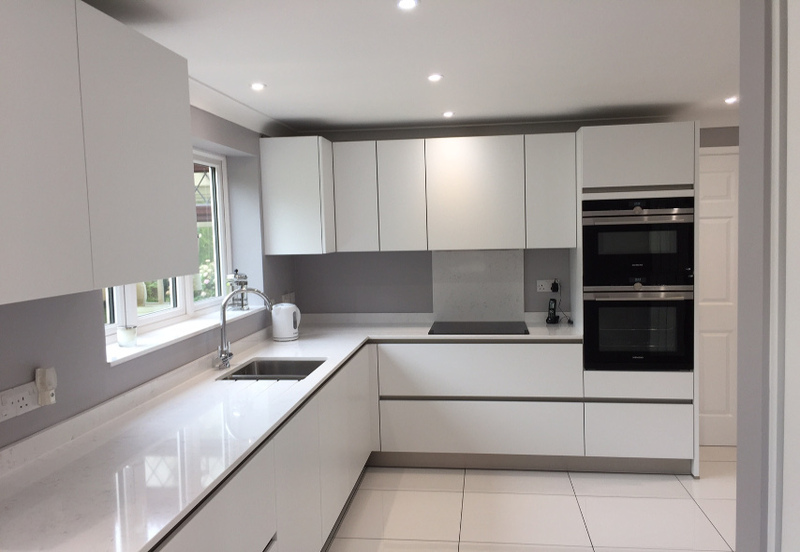 If you are looking for a designer kitchen which is perfect for entertaining then look no further! The NX 9020 from next125 features an Island unit, which is the perfect place to prepare your food as well as huddle around with drinks and nibbles! 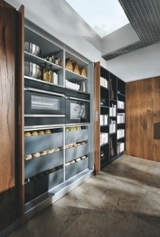 You can cleverly hide the storage space and cooking utensils with the hideaway doors leaving you with a beautiful reclaimed oak veneer finish created from old wood. This unique style of kitchen is both understated and elegant leaving you with the perfect space to entertain your guests. There are further glass options in polaris white, white, stone grey, and lava black available in either matt or gloss finish. 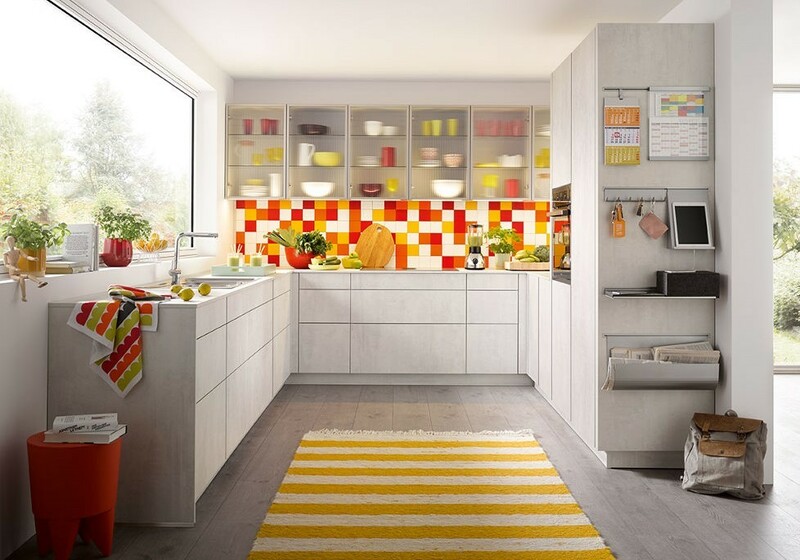 Creating kitchen zones are all the rage right now and we know all about them! The concept behind this design for the NX502 in sand grey and brushed knotty oak takes this to a new level. 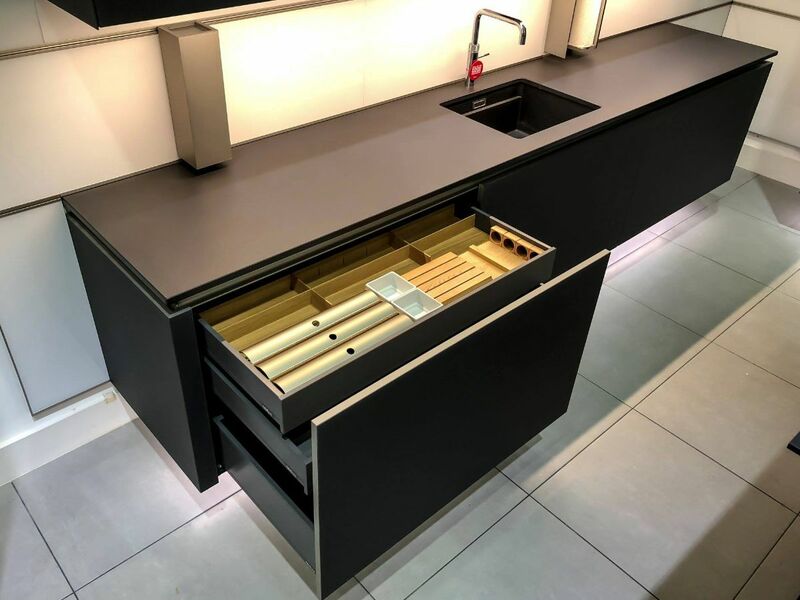 With two distinct islands for cooking and preparing food, a counter bar worktop for conversation and chatting and slide-away doors to hide appliances such as the raised dishwasher and storage, this kitchen demonstrates versatility in design. 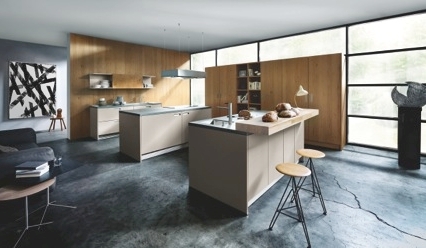 The new sand grey finish in a velvety matt lacquer is a tactical contrast to the brushed surface in natural knotty oak. 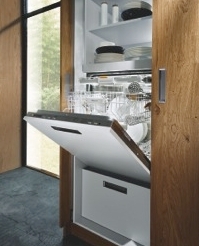 Mixing together natural materials with new surface finishes gives a hand-crafted appearance, typical of next125.